Model of autos 80, modification CD 1.8 began manufacture by Audi from 1984 and terminated in 1986. In this car can sit 5 men including the driver, it has the body type of a sedan with four doors, and length 4.4 meters, weight 0.9 tons. 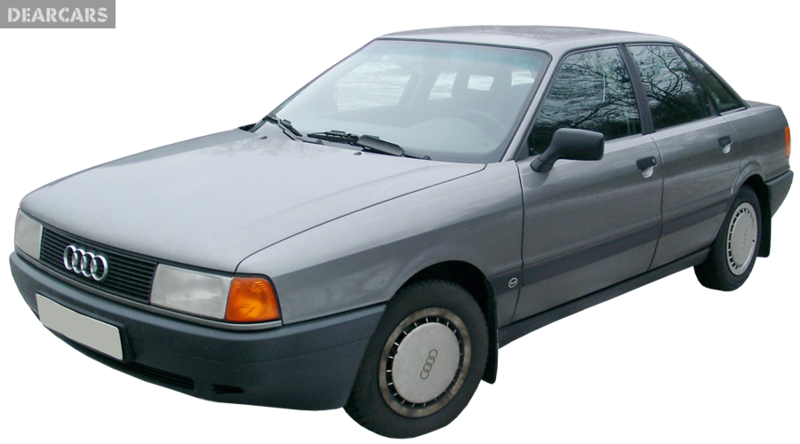 «80 CD 1.8» car with a 3-speed automatic gearbox is fitted to the front-wheels. This automobile can speed up for 13.3 seconds to 100 km/h, with a peak speed of 166 km/h, owing to a 4-cylinders petrol motor with a «carburetor fuel system», which generate a peak output of 90 hp at 5200 rpm. Fuel tank volume of this automobile is 68 liters of petrol, therefore when normal fuel rate is 8.3 l per 100 km, that let you to go roughly 820 kilometers without refueling. The forward wheels of this car have disks brakes and fixed to the chassis using suspension type «MacPherson, independent, coil springs» and equipped with stabilizer bar. Back wheels have drums brakes and fixed to the body chassis through suspension «Rigid, coil springs» and equipped with anti-roll bar. Tires have the next dimensions - 175/70R13. Audi 80 is not certified for Euro NCAP crash test. Active and passive safety systems missing on this model auto.